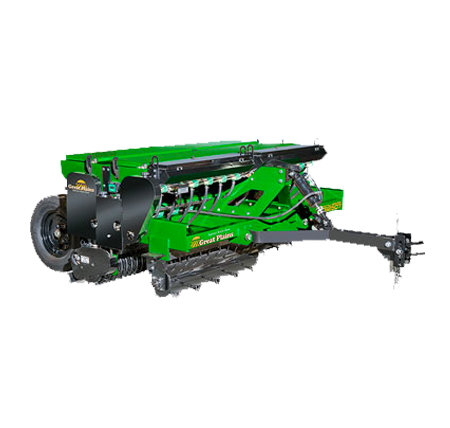 The new NTS25 No-Till Seeder, available in 7′ (2.13m), 9′ (2.74m) , and 11′ (3.35m) widths, makes quick work of your seeding tasks in renovating pastures, reclaiming rights-of-way, and planting food plots. 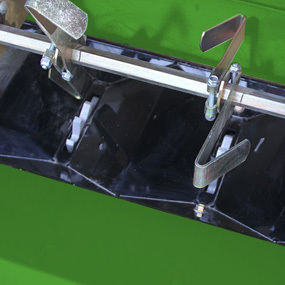 Our NTS25 Series Seeder comes with a variety of features built in and with ease of use in mind. 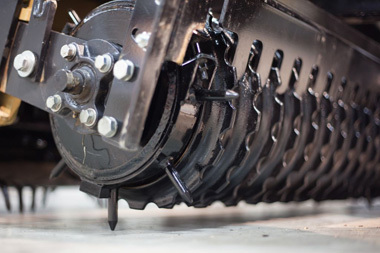 The unit is ground-driven by spikes incorporated into the rear packer-roller; however, the operator can easily disengage any of the seed boxes with simple lockout pins on each drive sprocket or lock out all boxes with one pin on the main sprocket. 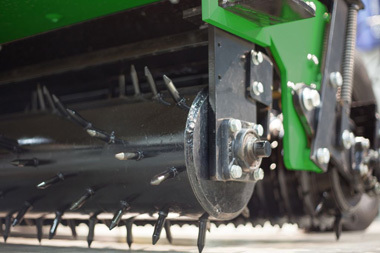 This American-made seeder comes standard with a main, a small seed and native grass (or fluffy) seed box installed. The NTS is available as a 3-point model or pull-type model with transport wheels. 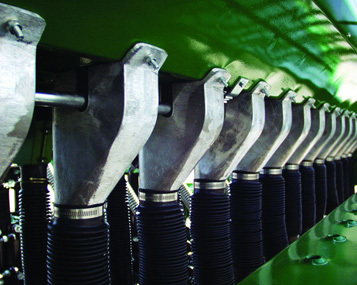 The main and small seeds boxes are calibrated by opening the seed cups with the seed-rate regulator. The native grass box is calibrated with a 4-speed, single-lever gearbox. Aggressiveness of the NTS is controlled by manually angling the front spiked rollers. Seed is dropped and broadcast to the soil below, protected by a metal wind shield, and gently pressed into the soil with the rear cast packer. The digital acre meter keeps track of acres planted. Feature 1/2″ x 2″ (12.7mm x 50.8mm) spikes that break through thatch and crust to prep the soil for seeding. 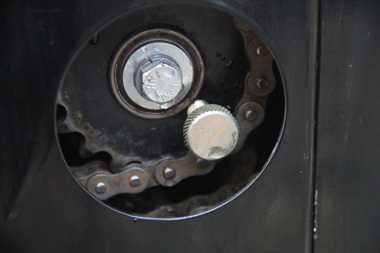 Easily disengage drive sprockets with Great Plains’ patent-pending lockout clutch on all boxes. The native grass seed box is equipped with a walk board to make filling the main box easier. The native grass box uses agitators to keep the seed flowing toward the picker wheel. Wide Range of Calibration Settings w/ Gearbox and Sprocket and Chain. #40 Chain that is Spring Loaded and has Easy Access. Rear Roller is Straight: 11 3/8” Diameter, Notched, Cast Gray Iron Rings. Single Rear Roller on 7’ Model, Two Rollers on 9’ and 11’.